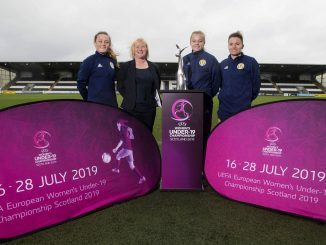 Scotland returned to winning ways in front of more than 2,000 supporters at the Paisley 2021 Stadium courtesy of late goals from Zoe Ness, Claire Emslie and Erin Cuthbert to secure the 3-0 win, reports scottishfa.co.uk. Poland were reduced to 10 players late in the second half after earlier having a penalty saved and Scotland made them pay by scoring the on 79 minutes and again, just four minutes from time. In injury time, Cuthbert made it a resounding victory with a shot from on the edge of the box. 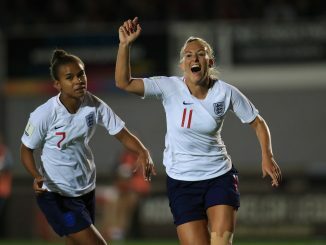 Shelley Kerr named an attacking team with Claire Emslie, Fiona Brown and Jane Ross all operating in attacking positions. In front of the healthy crowd, Scotland weathered an earlier Poland attack and were close to going in front after 15 minutes. Claire Emslie cut inside from the right and unleashed a ferocious shot which flew over the bar. Poland were a threat going forward and were close to taking the lead when Daleszczyk shot from 12 yards out but failed to hit the target. At the break, it was 0-0 and with 55 minutes on the clock Poland had a golden opportunity to take the lead with a spot kick. Jo Love was adjudged to have handled in the area and Ewa Pajor stepped up. She hit the ball to Lee Alexander right but the Glasgow City number one made a diving save to keep the scores level. Ewelina Kamczyk was next to go close for Poland as she sent the ball narrowly past the post. Scotland survived that period of pressure however and Claire Emslie was close to finding substitute Erin Cuthbert at the back post who was on hand to tap the ball home, but a Polish defender was able to poke the ball to safety. After 75 minutes Paulina Dudek was sent off for a second yellow card after committing a crunching tackle on Claire Emslie. Scotland were then pushing desperately for the winner and Erin Cuthbert let fly from distance but was met by a solid save. 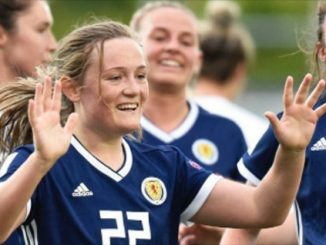 With 79 minutes on the clock, Zoe Ness scored her first goal for Scotland in her third appearance. Claire Emslie crossed the ball into the box and the towering striker was able to nod over the line with a diving header. With eight minutes remaining Claire Emslie was close to make it two when she swiveled in the box but the ball flew just wide of the target. Jane Ross also went close when she was clean through but a good save from the goalkeeper denied her. Scotland then secured their second when Emslie shot into the corner of the net with just four minutes remaining. Shelley Kerr’s side weren’t done there though and Erin Cuthbert slammed in a third in injury time. Scotland continue their World Cup Qualifying campaign against Belarus and Poland in June. Belarus are first up, at home, with the venue still to be announced, on Thursday, 7 June. They will then travel to Poland on Tuesday, 12 June.